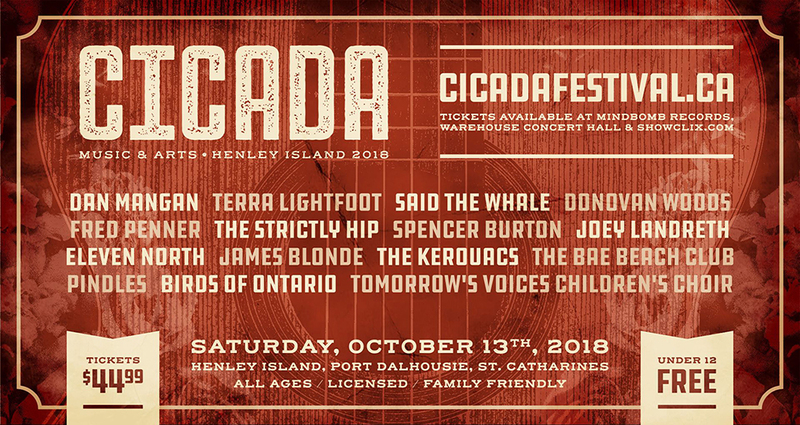 Cicada is a one day music festival hosted on the picturesque Henley Island in St. Catharines, where attendees can discover some of Canada's premier artists alongside rising stars from the Niagara Region. The festival will also feature local art, food, craft beer and much more! Experience live music in Niagara like never before, on the tree flanked island. 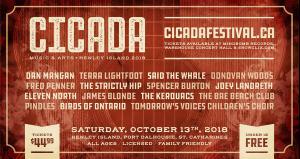 In addition to being a celebration of Canadian music, Cicada donates all of its profits to Movember Foundation Canada; a foundation dedicated to the research and awareness for prostate cancer.